Happy Friday friends! 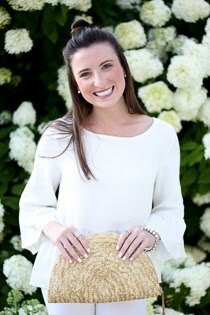 Today I'm sharing the first of two posts that will highlight some of my favorite Tobi pieces as of late. I was lucky enough to be able to select a few of my favorite pieces to share with you all on Faith & Fancy and I cannot wait for you to see. There are so many good ones out right now - stay tuned! 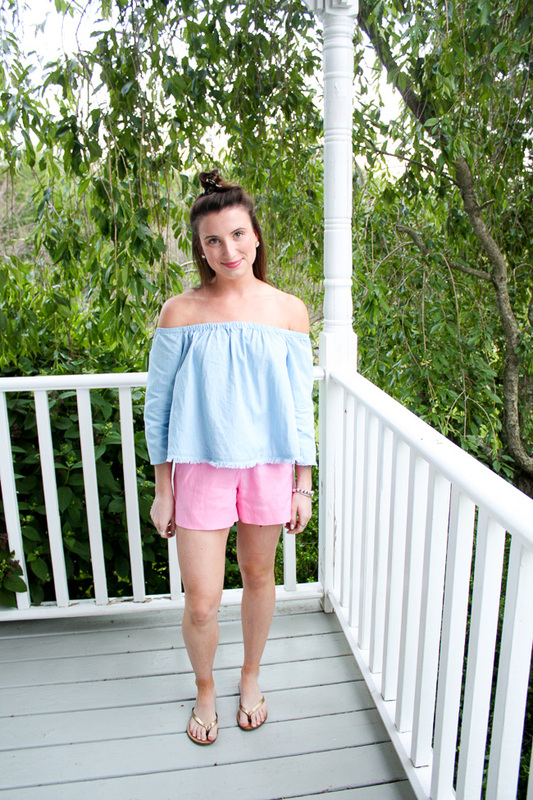 First up is this super adorable chambray off-the-shoulder top. 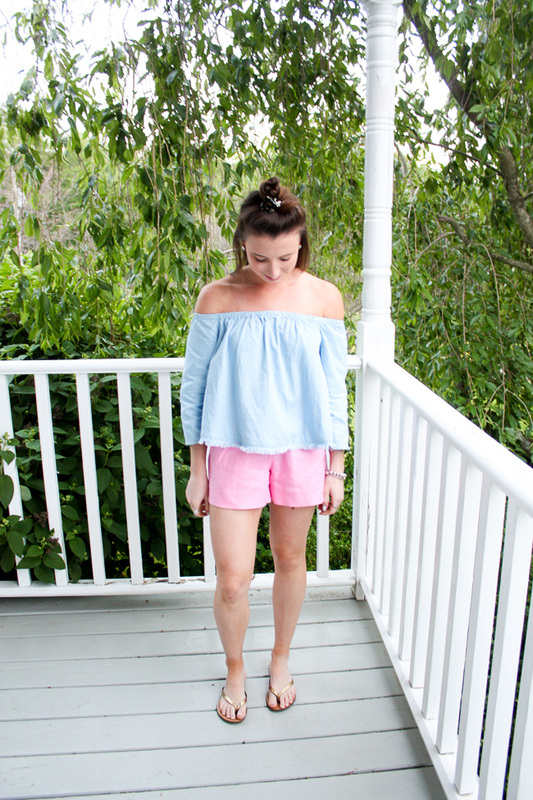 We all know I am a sucker for a good off-the-shoulder top, and this one is no exception. 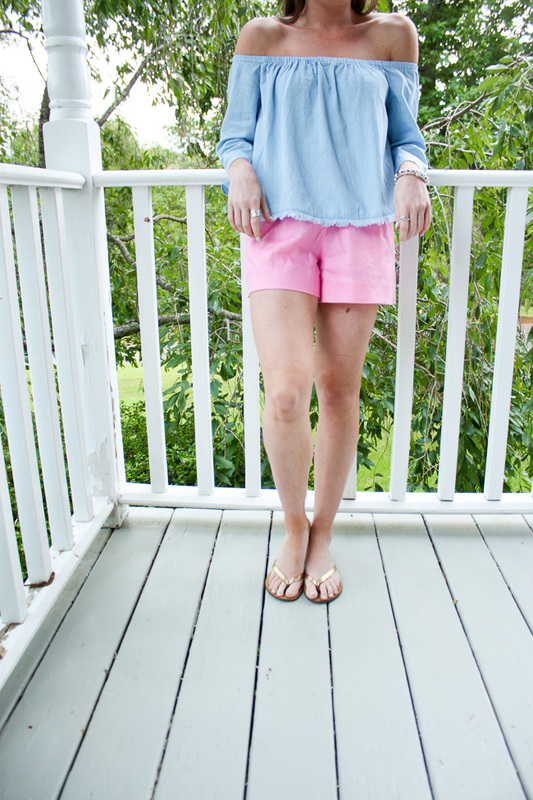 I am also a big lover of chambray, so this top basically feels like it was made for me! 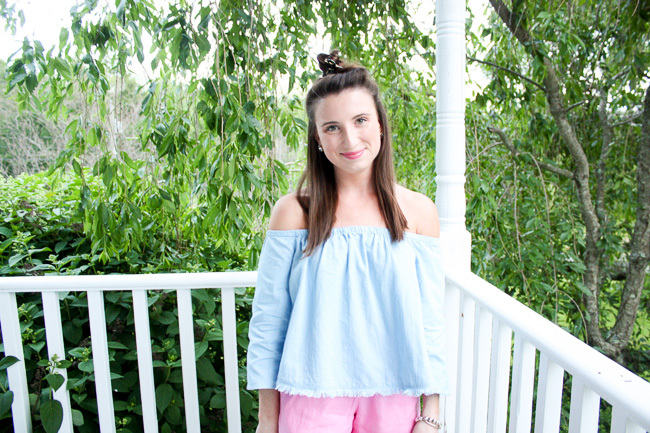 When I thought about how I wanted to style this top, I knew I wanted to keep it super casual and fun for summer. 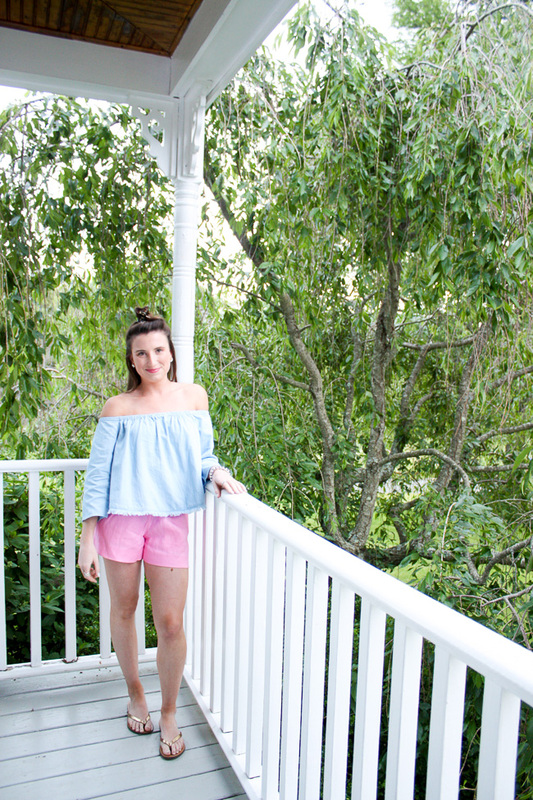 Paired with bright pink linen shorts and easy metallic sandals, this look is perfect for hot summer days, lounging on wrap around porches, or anytime you just need something breezy and cute to throw on. 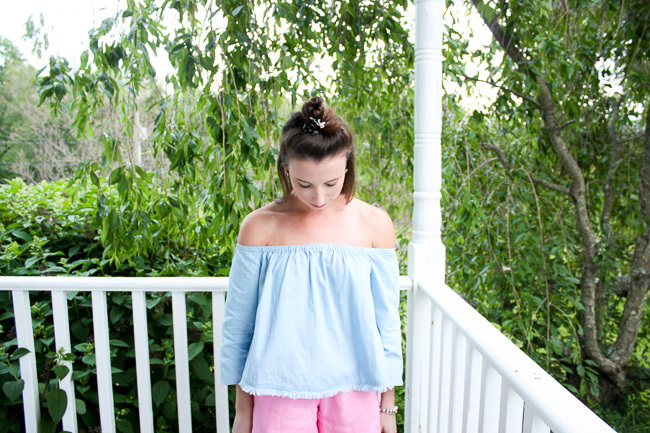 It is such an easy, no fuss outfit that is super comfy and most importantly so so cute. You just can't go wrong with any of that! 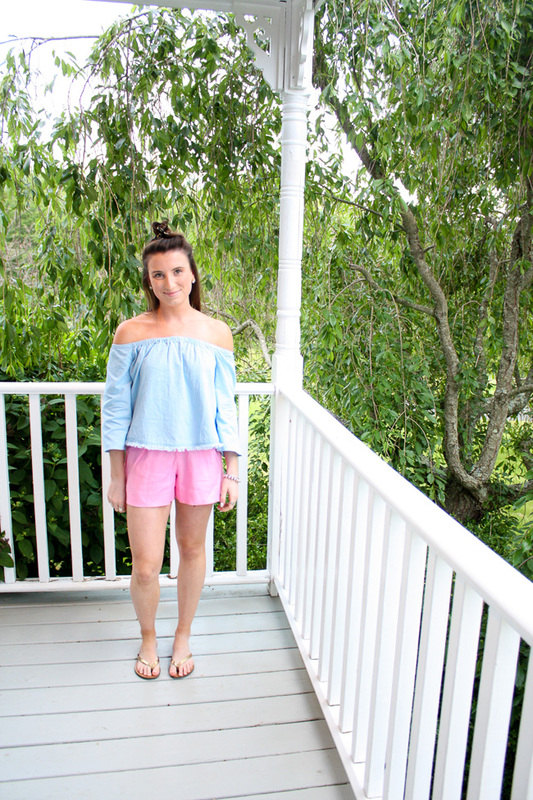 What I also love about this off the shoulder top is you can style it so many different ways. So even though I styled it on the more casual and fun side here, you can most definitely dress it up. 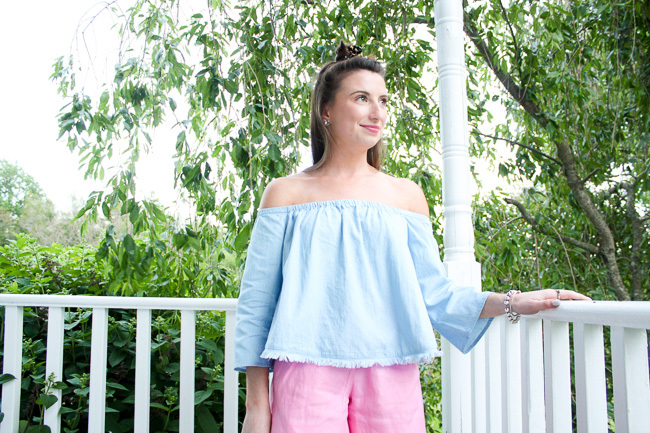 Throw on some high-rise white denim, sandals, and a bright lip and you've got yourself a fun and flirty look. Perfect for a date night or just a night out on the town! With the official start of summer less than a week away (!) now is the time to stock up on those perfect summer pieces. 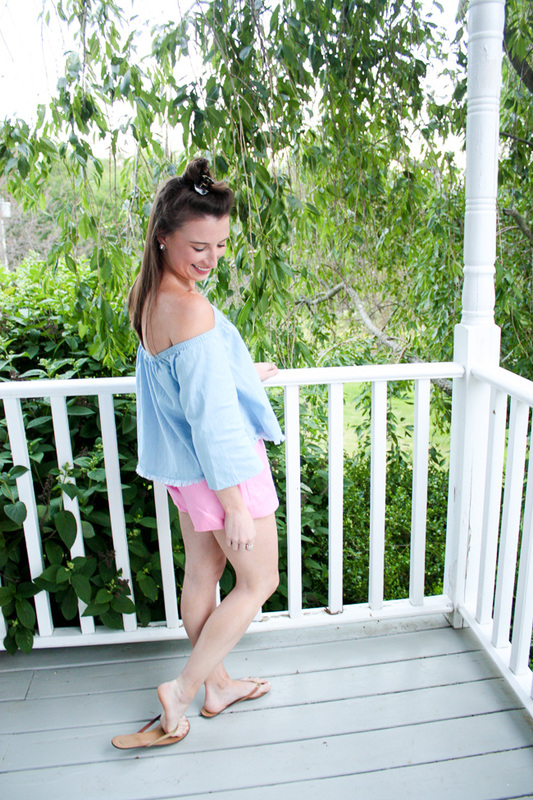 Tobi's chambray off-the-shoulder top is one of those pieces that just screams summer to me and if you ask me there is no better time than now to get it. It is most definitely a piece you want in your closet and one I'm sure you will reach for time and time again. Get it while you can, and enjoy!